The event booklet can be downloaded here. 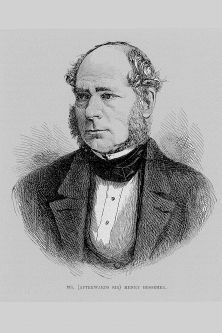 It was recently discovered that City, University of London has a historical connection with Sir Henry Bessemer FRS (1813-1898). From 1833 Sir Henry lived in Islington at 15 Northampton Square, on the site where City's main entrance is currently located. This event is to commemorate the unveiling of a Blue Plaque for Sir Henry by the Mayor of Islington. This will be accompanied by an exhibition which will focus on the history of Northampton Square, Sir Henry's life and his invention of the revolutionary Bessemer Process which enabled the mass-production of steel and kick-started the industrial revolution. We are also delighted to welcome Dr Susan Mossman from The Science Museum, and Mr Jiff Bayliss from Islington Museum to talk about Henry's contribution and the local area. Registration with tea and coffee will be from 6pm and a food and drink reception will follow the talks.